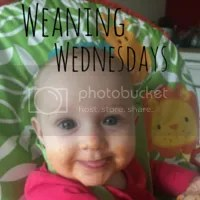 Hi and welcome to the third ‘Weaning Wednesdays’ I was so pleased with all the link ups last week. Thank you to everyone that joined in. This weeks special mention is Parker and Me with a brilliant meal plan. Tweet me @mummyandmonkeys and I will re-tweet your post. The linky will open every Wednesday and run until Sunday at midnight. "Weaning is funny and messy!" Oh bless, such a cute video! It’s such a hard life being a baby isn’t it?! Thanka for hosting. Enjoy Bluestones.